If I'm not mistaken, this is the first time The Market Report is venturing down to the Jersey Shore! Obviously I've been down there before this, but never bothered to photograph a supermarket. Oh well. 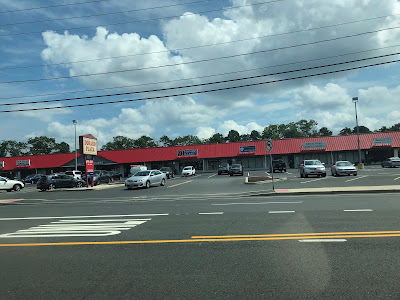 The 91 Farmers Market, shown here in the middle of the Dorado Plaza at 34 Lanes Mill Rd, was previously a Krauzer's Food Store and later, Juana Banana Market & Café.